Dr. Alicia Rogers completed her doctorate of Naturopathic Medicine in 2002 at Bastyr University. She did a residency in an integrative primary care clinic in Seattle, where she focused on Physical Medicine and Bio-Identical Hormones. 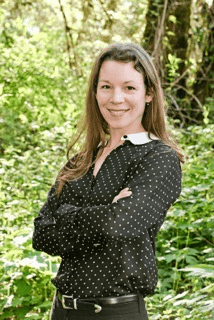 For 12 years, she owned and operated a primary care naturopathic clinic on Whidbey Island with her husband, Dr. Thom Rogers, ND, where she honed her expertise in Women’s Health and Bio-Identical Hormones, including thyroid and adrenal hormones. Dr. Alicia’s areas of expertise include nutritional counseling, environmental medicine, women & children’s health, and hormone imbalances. She also performs aesthetic procedures, such as Botox & dermal fillers. Dr. Alicia has two young boys that fill her “off time” and keep her very busy. In her spare time, Dr. Alicia enjoys family time, date nights, fitness, nature hikes, sleeping, and eating good food.